Deep inside West Virginia, a monster waits. White Things are exactly what they sound like. They are indefinable creatures the color of ghosts, crisp tablecloths and pure driven snow. Such stories crop up all over the U.S., but McCoy says they are especially prevalent in West Virginia. Over the years, McCoy has amassed many tales of White Things. Legend has it that a car full of women were making their way home after a family reunion through the TNT Area. There was snow on the ground and they crunched along the treacherous roads at just a few miles an hour. And that’s when Sheepsquatch stepped out of the woods. Sheepsquatch first reared his oblong head in the 1990s. Legend has it that a car full of women were making their way home after a family reunion through the TNT Area. There was snow on the ground and they crunched along the treacherous roads at just a few miles an hour. And that’s when it stepped out of the woods. Sheepsquatch (as it would come to be called) froze when it spotted the car, then bolted into the woods. Taking a cue from the mysterious beast, the women also high-tailed it out of there as fast as the wintery conditions would allow. Over the years, McCoy has collected stories of other sightings that follow a familiar pattern. A miner spotted a big white, grey thing and declared it not to be an “animal” but wouldn’t go further than that. A motorist spotted an animal on a hillside with a long face that looked to be covered in rags, or perhaps shedding a winter coat. A hunter encountered a creature crouched by a river for a drink, with horns and what seem to be human hands. Encounters with Sheepsquatch, for the most part, seem to be tame and infrequent. Sheepsquatch has no popular backstory, no tales of sheep and radioactive goo or experiments gone awry. In fact, the Sheepsquatch name is occasionally used as a blanket term for all things scary and white. Being a monster in Point Pleasant is sort of like being an aspiring actor in Los Angeles: there’s a lot of creatures clamoring for attention. The Mothman statue in Point Pleasant, West Virginia. Via Flickr/marada. The TNT Area alone has been host to bigfoot and UFO sightings. But most famously, Point Pleasant is home to Mothman, the manlike creature with the wings of a moth and glowing red eyes who terrorized townspeople over several weeks during the late ’60s. The Mothman was the subject of numerous newspaper accounts was blamed for a deadly bridge collapse and was the subject of a popular book “The Mothman Prophesies” which in turn was made into a movie starring Richard Gere. 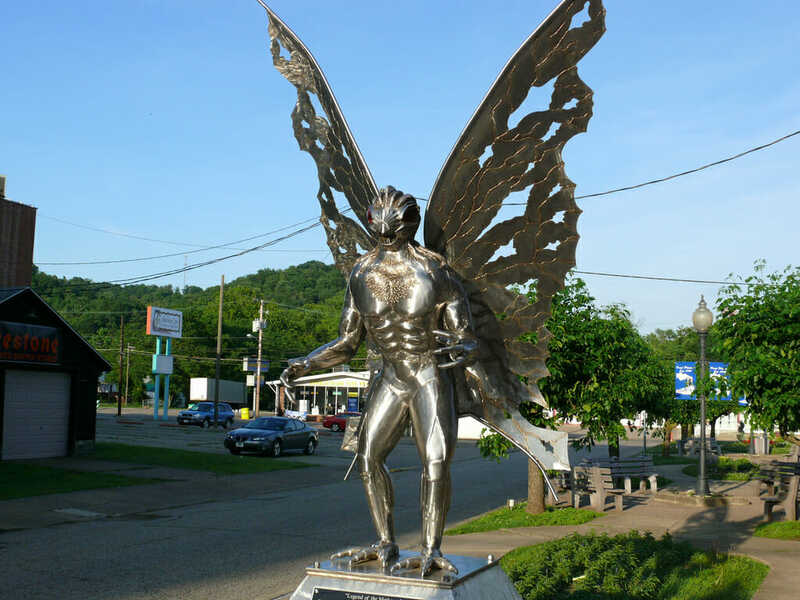 Point Pleasant is home to a Mothman statue, museum and annual festival. It’s not easy being a cryptid in Mothman’s shadow. But Sheepsquatch did garner some brief notoriety in March 2013 when it was the subject of the first installation of a show called “Monsters and Mysteries in America” on Destination America. It’s the kind of show that features interviews with real people interspersed with fairly bare-bones re-enactments. A segment details the adventures of two friends, Ricky Joyce and Dakota Cheeks, who go on a weekend hunting trip in Kentucky where they encounter more than deer. “We saw Sheepsquatch, that’s what we saw,” he says with certainty. This was not the timid Sheepsquatch of tales past. The episode earned dings from both critics and cryptozoology enthusiasts. “Sheepsquatch? Are you F*n kidding me with this crap?,” wrote one commenter on the website Bigfoot Buzz. McCoy says this exposes a friction within the cryptozoology community. McCoy says there are lots of weird sightings out there that can’t be defined. 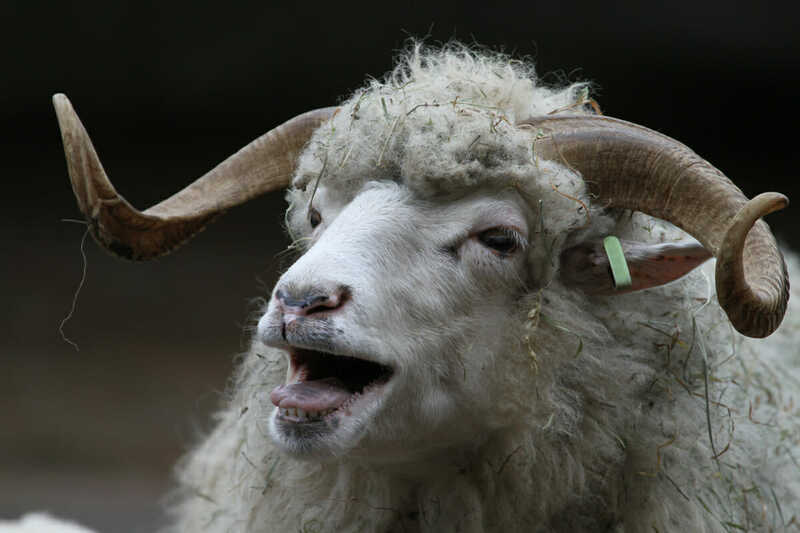 There are similar monsters like Sheepsquatch all over the place: There’s the Maryland Goat Man and The Pope Lick Monster in Kentucky (part man, part goat, part sheep), for instance. But McCoy also isn’t up nights, wondering if the evidence sticks.